Are you (or your child) under the age of 18 and interested in learning how to play roller derby? Here is the best place to start! The VRDL Juniors program focus’ on building the foundations of the sport: speed, skills, agility, strength and basic strategies. 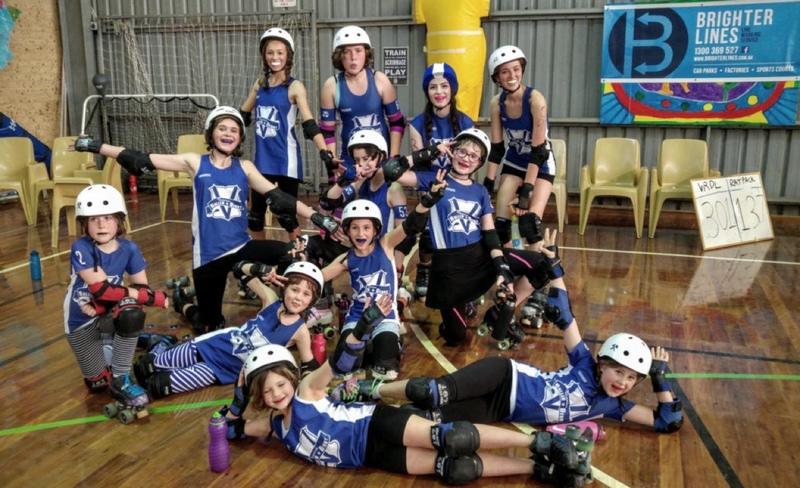 Follow the grading system set out by the Junior Roller Derby Association, the coaches create tailored age appropriate content designed to keep kids engaged and active. And most importantly, the sessions are fun! It is a great way for future roller derby stars to learn the foundations of skating, team work and fitness. VRDL is an inclusive organisation dedicated to providing a safe space for children. Not only do all of our coaches have the required documentation for working with children in Victoria, we pride ourselves on offering an includes space for children of all genders, abilities and backgrounds. The smALL Stars are the representative team of the VRDL Juniors program. Applying the skills they have learnt from the VRDL coaching staff, the smALL Stars travel both regionally and interstate to represent VRDL and showcase the future of roller derby. If you’re over 16 years of age, check out our Learn to Skate program.